Today, I've got a very special message today for those who love to color, perm, or simply pamper their hair!!! 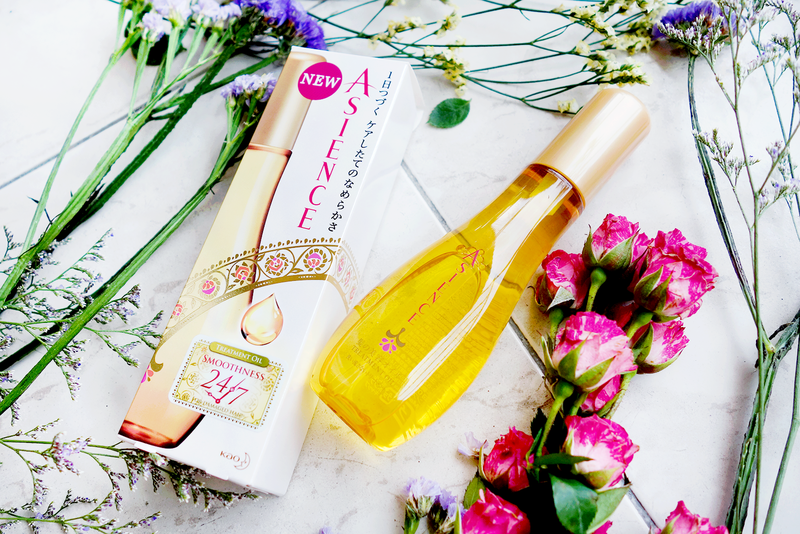 and that is.... Asience has created a line of Beauty Serum Leave on Treatments that have been formulated with the natural goodness of the purest extracts such as a rich infusion of Argan Oil. 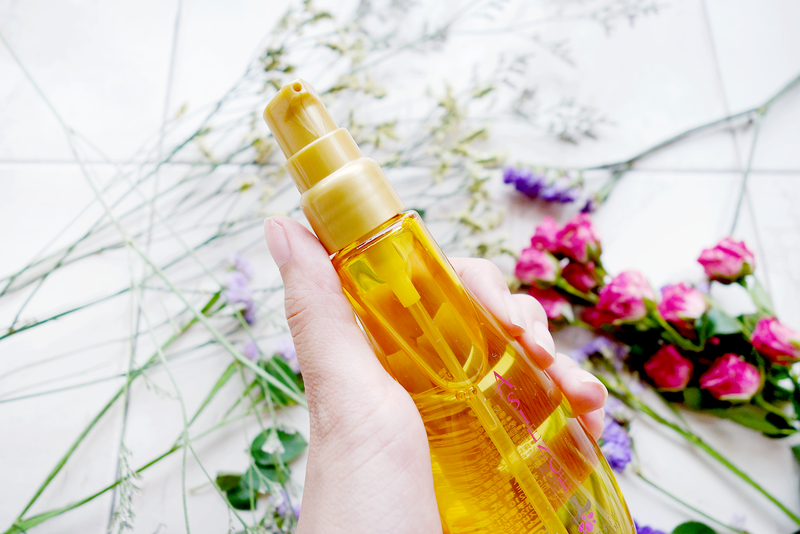 Camelia Oil, Pomegranate extracts along with Rose, White Pearl and Lemongrass essences in every single drop, thus allowing anyone to enjoy perfectly smooth hair that lasts 24/7!! Woohoo! 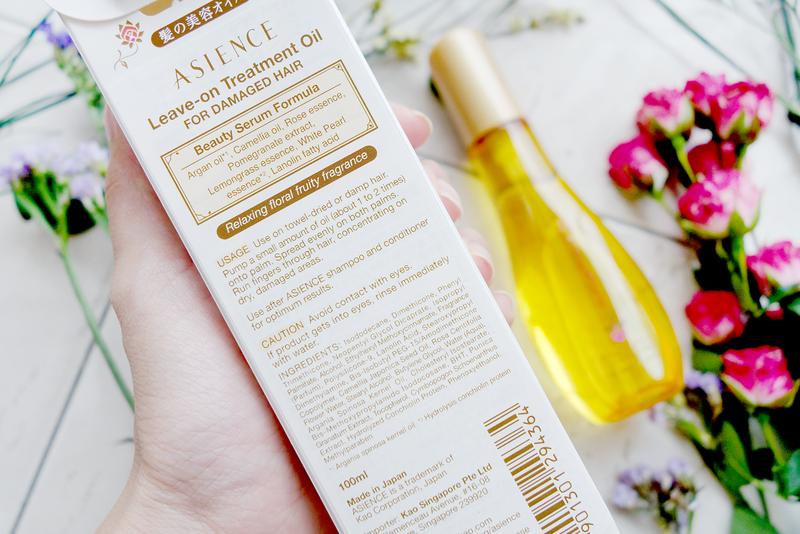 And so, without further ado, let me introduce the Asience Leave-on Treatment Oil for Damaged Hair (R.P. S$16.90)! This star product promises smooth and manageable hair even after 24 hours due to the texture of the oil which is so easily absorbed! It doesn't hurt that it is non-greasy too, so the hair is left silky to the touch without the icky stickiness. The Leave-on Treatment Oil can be used on towel-dried or damp hair, and all you need is about 1-2 pumps onto your palm. Thereafter, just spread the oil out evenly on both palms and then run your fingers through your dry damaged ends. 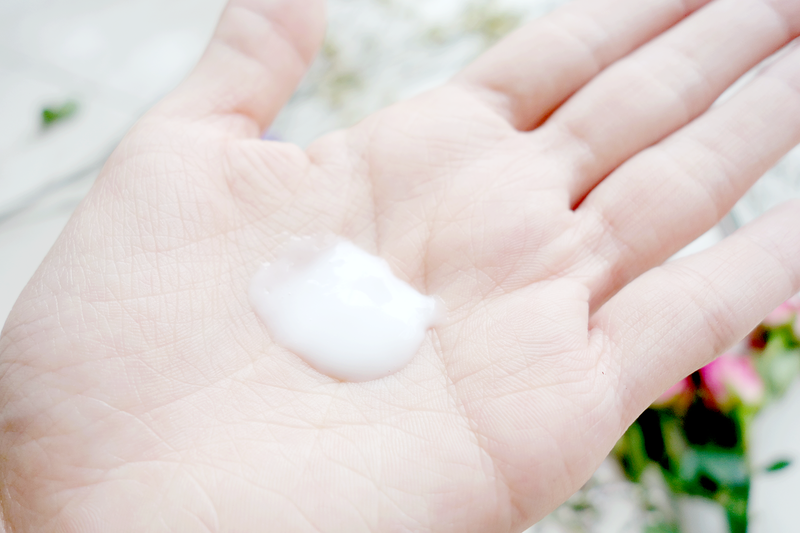 As promised, the oil is really lightweight and so easy to spread across the palms and onto the hair. Forget any tacky texture, the treatment really transfers deep into the hair ends for flowing locks with amazing shine. Personally, I enjoy using the treatment oil on an everyday basis because it's just so simple. 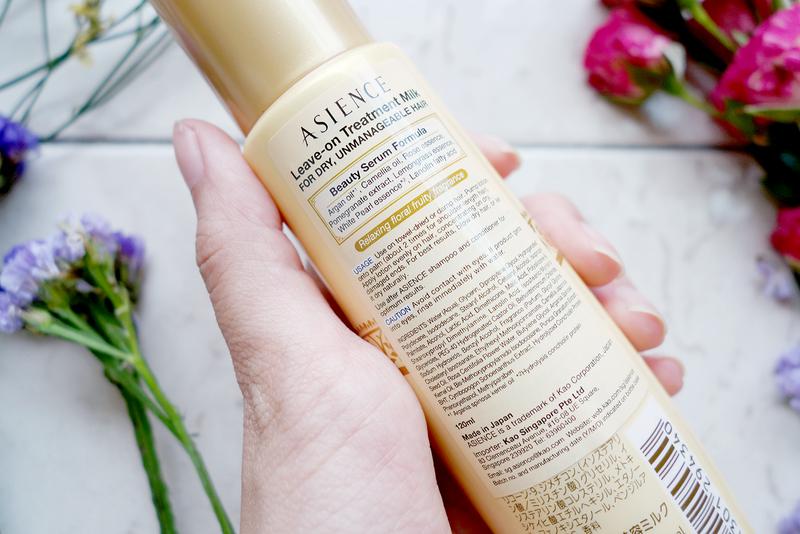 In fact, if your fear for hair oils rests on the idea that your hair will be a hot mess due to humidity + oils congealing, just let Asience put that to rest. The feeling is very very slightly thicker than water but it spreads just like it! My hair ends tend to be slightly more brittle because I like to tie my hair in a bun and that puts a lot of stress on them. 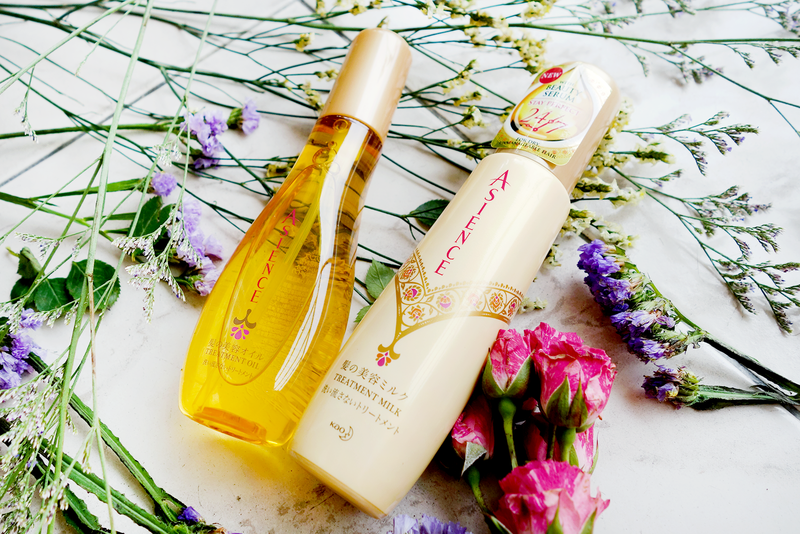 With the hair oil, my hair ends feel strengthened and much smoother. 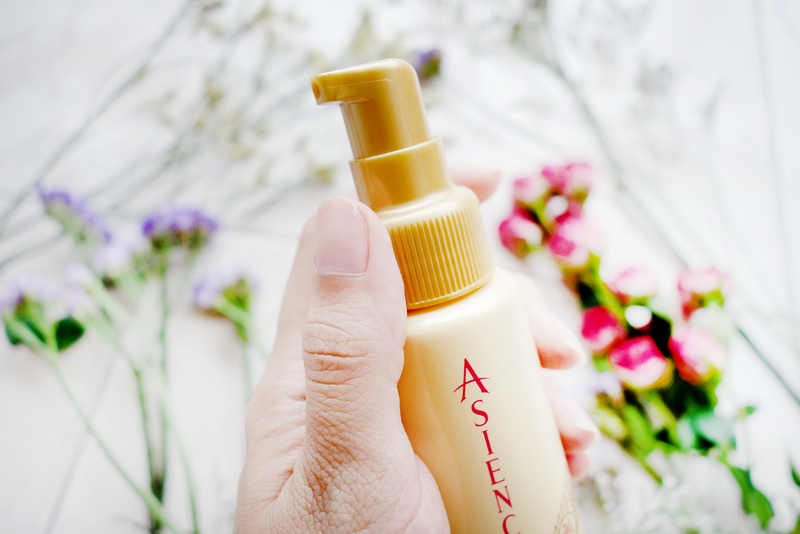 Hand in hand with the Leave-on Treatment Oil comes Asience's Beauty Serum Leave-on Treatment Milk (R.P. S$16.90). This one is targeted at revitalizing dry and unmanageable hair. The milk is concentrated to provide hair with much-needed moisture, especially hair that is prone to tangling and frizzing. Just like the Leave-on Treatment Oil, you can use the Milk Treatment on towel-dried or damp hair. You also need about 2 pumps for shoulder length hair (1 - 1 half if you've got pixie-cut length) and then concentrate only on your dry damaged ends. You can choose to blow dry after use to keep your hair in place, but leaving it to air dry is fine. The milk has a slightly thicker texture than the oil, but does not feel heavy on the hair ends at all. When I use it, I truly feel as happy as the picture above! Despite my ugly roots (ha ha), the rest of my hair really looks nourished and super healthy. Though this isn't the product I reach for often, it's a great backup to have in the stash especially on days where I have events to attend or when I sleep with wet hair and wake up with my hair in a mess. All I need to do is wet my hair ends which look wiry, comb through, apply the treatment milk in the steps stated above, and then let my hair air dry as I head out. I've also been considering taking this with me when I go on trips to really hot and dry countries (think US/Australian Summers) and my hair gets burnt to a crisp. I just know this will totally come in handy! P/S: If you notice from this photo, I curled the bottom half of my hair in with my GlamPalm styler - and while that awesome straightener itself doesn't require me to use a serum, I can still see a difference with the Asience Beauty Serum Leave-on Oil! If you zoom in, my hair has taken on that soft, somewhat wispy feel which I seldom get due to my horrendously thick tresses. 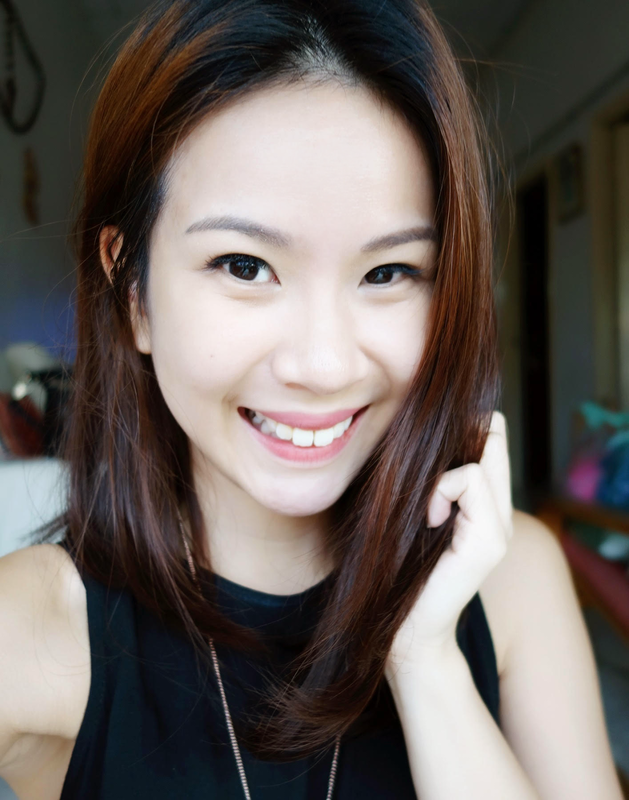 After all, good hair still requires good caring, and a teensy little extra effort never killed anyone. Both Asience's Beauty Serum Treatment Leave-on Treatments are available at leading supermarkets, western pharmacies and personal care stores from July 2015.